Yes, this is essentially my fourth, if you count today’s Writers’ Roundtable, post for the week, and I still have two more to go. That’s a lot of writing, folks. We have a few changes taking place hereabouts, with the first at the recommendation of power-reader Orion. You may know who he is, because he leaves comments on a good number of posts, and that makes him super great. Evan and Gordon Talk has been changed to Culture War Correspondence due to the fact that it’s not just Gordon and yours truly jabbering on at each other anymore. When it’s all three of us a CWR Writers’ Roundtable will take place, a name I chose in part because its initials are the same as this blog. Another change under features is that addition of Culture War Reports, which Gordon started with his respective posts on attending a midget wrestling match and a musical. This feature will focus on the experience of attending events, which separates it from Reviews [which admittedly is just 2 Broke Girls at the moment, though I’ve been meaning to throw up a book review soon]. EVAN: Dearest audience, I don’t know what happened. There used to be a time when you offered us E&GT topics like it was nothing, and now it feels like something has come between us. Is it Gordon’s divisive posts about Christianity? Just let us know, we can’t take the silence any longer! That being said, we’re basically just going to talk for 45 minutes about whatever we feel like. So, Gordon, the two of us have been known to play D&D from time to time, and I’m going to pose it to you to come up with an original class idea. Keep in mind that I already have one and it is pretty good. He’s a drow, or dark elf, so it’s not technically blackface. . . I think . . .
And I’m expecting something a little bit different from your usual high-damage through bladed weapons or dark magic with low health. First of all, if you’re reading this on the front page, I hope you notice that all of the posts below this one have been shortened and now end with a “Continue Reading” link. It’s our my hope that this will make the homepage a little easier to navigate, as well as searching through our backlogs. I’m currently writing this from the library, as the renovations in the basement caused a wire to be cut and then spliced back together. What I mean to say is that when I left the house there was no internet, and there may not be when I return. That being said, this post is to announce the new layout [so far 1/4 of all the posts are formatted this way] and to state that if I don’t get my internet problems fixed by tonight there will be no E&GT. My post on Friday will go up even if it means returning to the library to write and post it. You were brought in by links on Reddit and Facebook. EVAN: I mean, maybe. I actually know for a fact that we have a fair number of regular readers who actually tune in almost daily. GORDON: And yes, we do love them more than you. GORDON: Today, we’re going to be touching on a nerve that’s still pretty raw in the US, even after a century and a half. 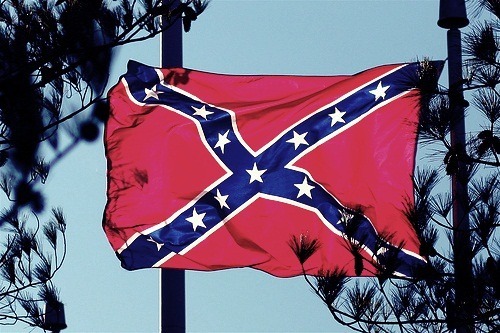 Specifically, we’re going to be talking about the ol’ stars and bars- the flag of the former Confederate States of America. EVAN: I’d like to remind everyone reading this that I am a Canadian. 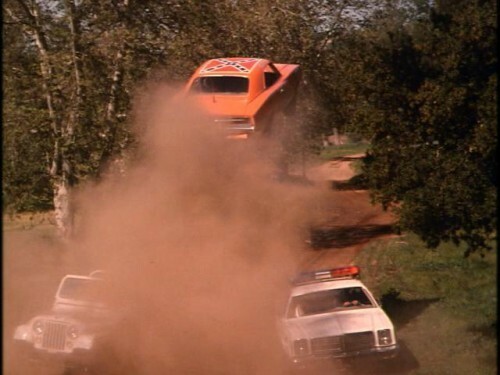 The most experience I have with the Confederate flag is in seeing it on the top of the General Lee from the remake of, and not the original, Dukes of Hazard. EVAN: Hello, everyone. Today’s discussion topic was brought to you by blog reader/friend/human being Stephen, who commented on last week’s E&GT. GORDON: My own sister is a pacifist, on top of being a vegetarian, because apparently she wants the family to die of shame twice.